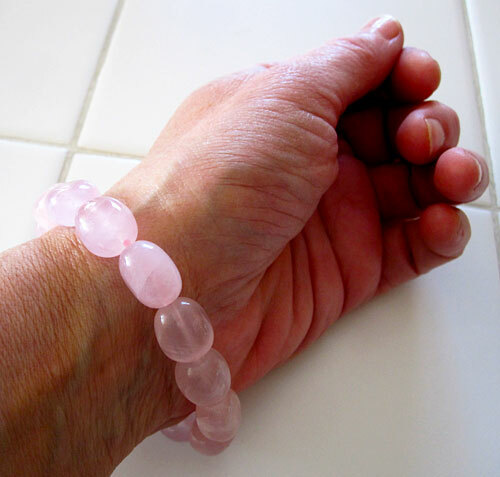 Dimensions (HxWxD): 3.5" x 2.5" x 0.5"
This fun, elegant rose quartz bracelet features big beautiful beads, and is inexpensive because it is strung on sturdy heavy elastic bands, matching the color of the beads. Note: weight above is shipping weight. 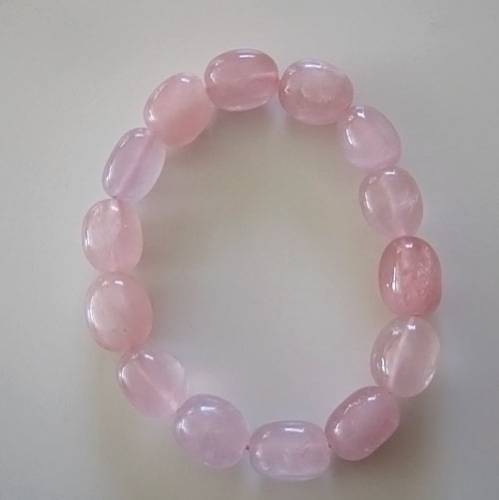 Average weight of bracelet is 1.75 ounces. Each piece is unique and may vary slightly in appearance. Each piece is guaranteed to be beautiful and meet with your complete satisfaction.